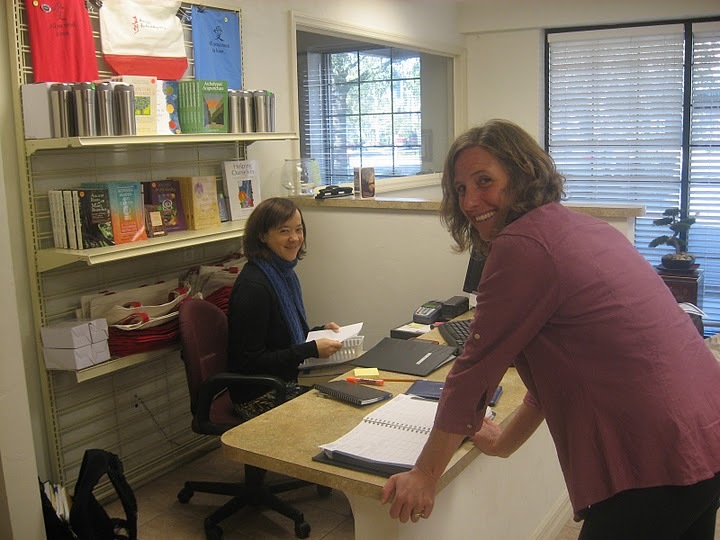 The last several weeks have been an extremely busy time for the students and staff here at AFEA. Having two clinic classes in session, one class at the end of their year and the other just beginning theirs, means that there is something going on almost every given day. The student lounge is full at lunch time, with the smells and the laughter drifting up the back staircase into my office. Both classes are tired, but they’re still laughing. It will feel eerily quiet next week when they’re gone for Thanksgiving break. I’ve noticed lately how easy it is to lose track of the big picture when school/work/life gets busy. We spent some time talking about this at a recent staff retreat: how the “why” of what we’re doing fades a little and the edges of the picture get pushed far away from our vision. We tend to focus more on the minutiae that’s immediately in front of us. So, I’m using Thanksgiving as my convenient excuse for refocusing on what we’re doing and why we’re doing it. 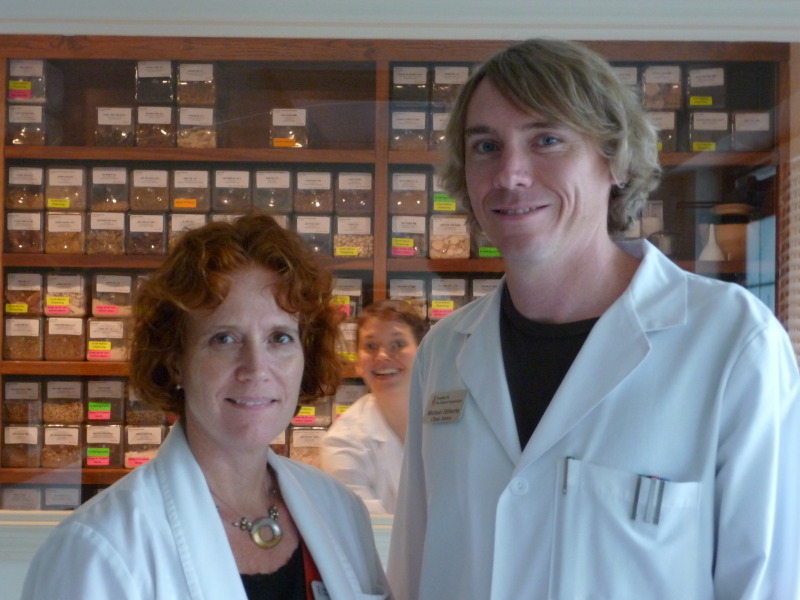 In the midst of the weekly routine of acupuncture treatments, clinic seminar, and Chinese herbs, Class 26 took their Third Year point location exam. The Third Year point location exam is harder (of course). They’re in the last stage of their residency. They’re using more advanced treatment planning ideas and they know more than they ever have. But the exam is notable for more than just its increased level of difficulty: it’s the last point location exam they’ll ever take at the Academy. I make it point at the beginning of the day to remind all of the students of this. The last exam. After almost three years, this is it. They’re really almost done with acupuncture school. While Class 26 marked their exams, Class 27 saw new patients. Internship Prep is over. They are now in the thick of the clinical swirl, balancing treatments and assists with clinic committee work. And after Thanksgiving break they take their Herbal Studies Pre-Clinical exam. In just a few more weeks, they will take over dispensary duty from Class 26. They’re in it. Full-fledged interns. So, the question is, what does this mean for our students? 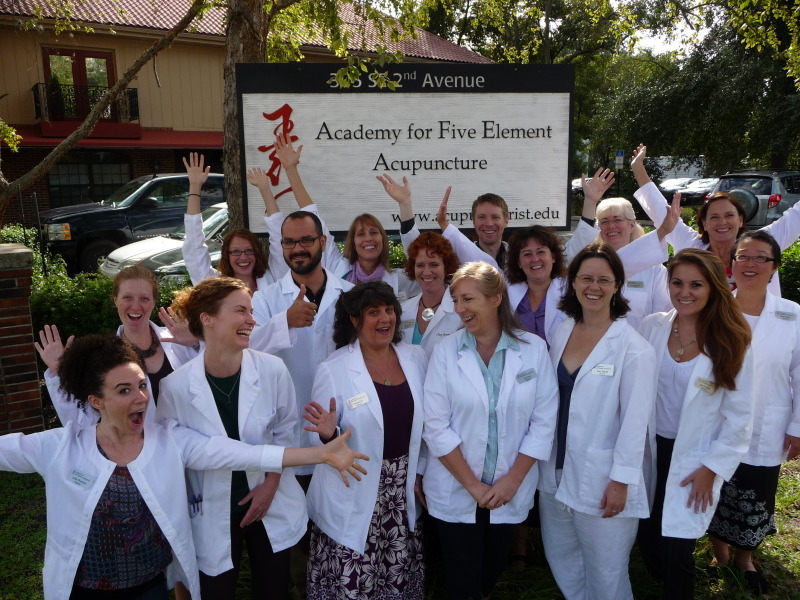 Yes, every day is one step closer to graduation and to their acupuncture licenses. But neither graduation nor a license is the final goal. Treating patients is; bringing healing through the depth, heart and spirit of the Five Element tradition is (see the official mission and vision statement at acupuncturist.edu). And each week they are doing just that. Seen in this light, they’re already doing what they set out to do. Clinical year is hectic and students sometimes have to put their heads down and just go, using the pathmarks along the way (exams, evaluations, weekend classes) to measure the passage of time. But what is so important to remember is that while they are reaching towards their goal, they’re actually already in the midst of it. As part of the academic administration, my daily responsibilities allow me to view the entire trajectory of our students’ paths. I sometimes get lost in the details of tracking where a student currently is. But following the clinical interns reminds me on a regular basis that they are in the middle of great healing work. As a clinic patient, I experience their transformation first-hand as they help me to transform. Their patients’ progress is a mirror of their own accomplishments. One that I am reminding them of right now, to hold out and look at; to remember the goal, the bigger picture of bringing healing to the world. You’re already doing it. And so, I am wishing our interns a very restful Thanksgiving break. I know some of you will continue to study, but I hope that these few days off give you the opportunity to remember where you are right now and to see the present moment as a result of all of the hard work that you have done and all of the hard work that you will do. You’ve already arrived. Enjoy it.